It's hip to change your zip Fits all Atkinson zippers. 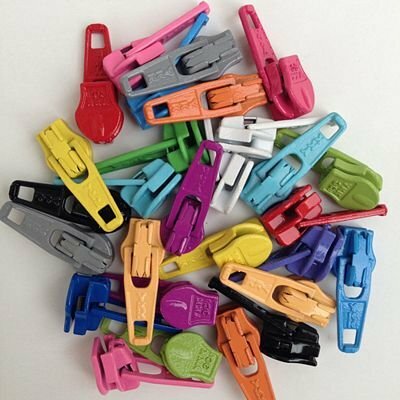 Includes a variety of candy colored zipper pulls. 30 zipper pulls in each pack. Colors are assorted. Items can be used with Fobio pattern Item LGD137.